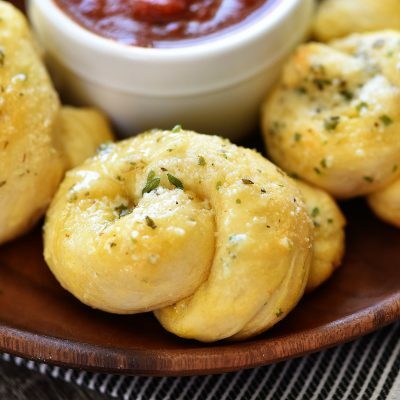 These Garlic Parmesan Knots are buttery, cheesy golden bites of heaven! Made in only 15 minutes, you’ll have one delicious roll to enjoy a long side any meal! 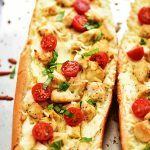 Oh, how I love easy recipes and easy bread recipes for that matter. 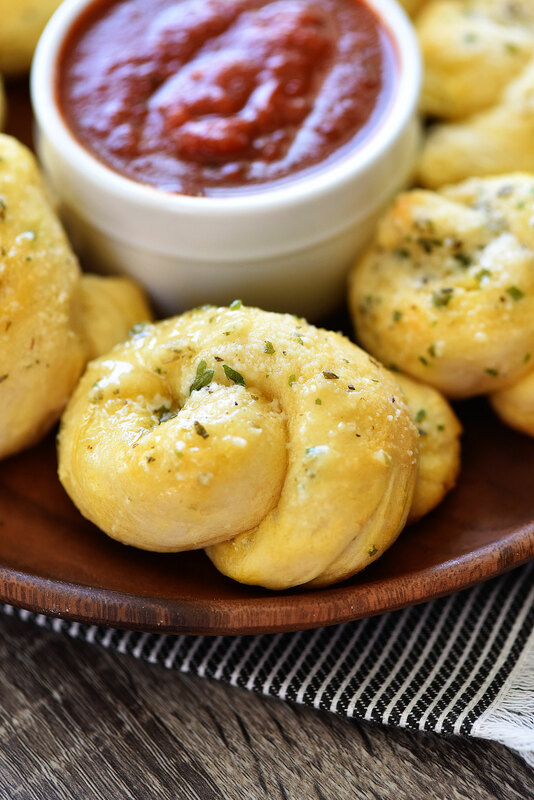 😀 These Garlic Parmesan Knots are exactly that and then some. 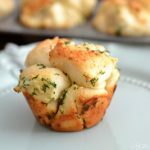 They are fun mini garlic breads that are smothered in Parmesan cheese, garlic and lots of melted butter. 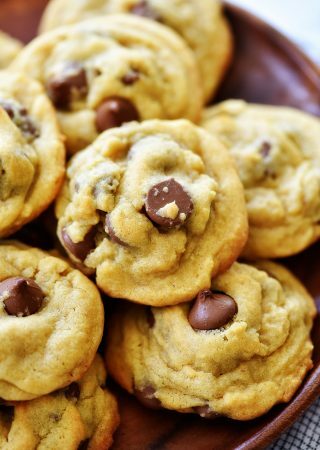 From start to finish you can have these on your table in just about 15 minutes. I honestly prefer homemade dough over canned, but when I am pinched for time I don’t mind using it at all. These rolls are so fluffy and the flavor is just amazing. 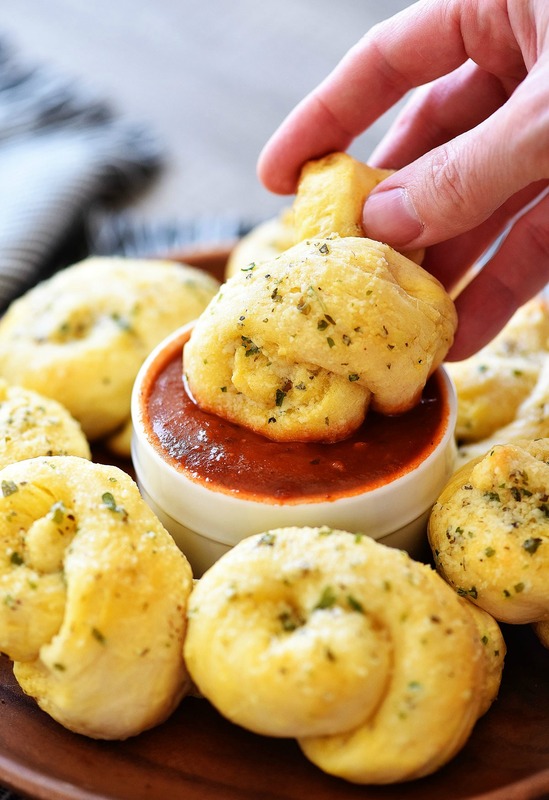 Dunk them in marinara, ranch dressing or eat a long side any dinner. 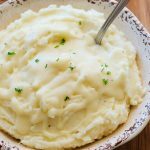 We had ours with spaghetti and my kiddos devoured them! Like I said, these could not be easier to put together. 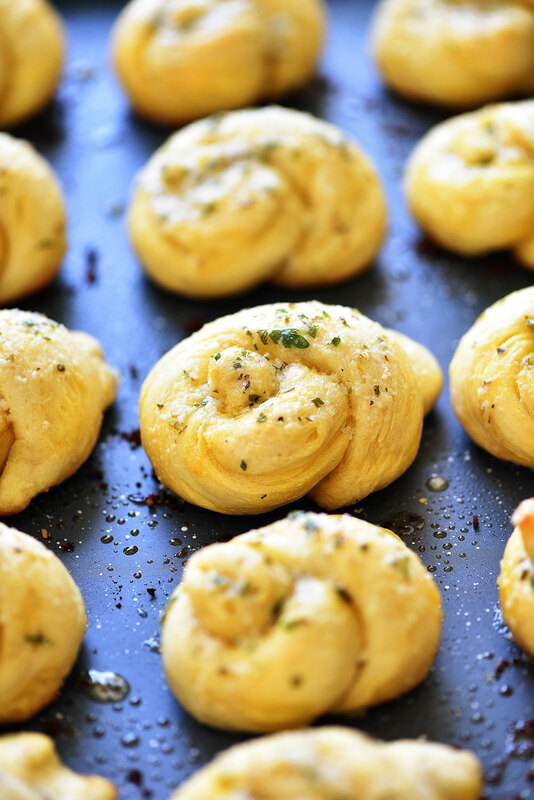 The dough is so easy to work with your kids could help you roll them out and tie them in knots. I’m sure they would get a kick out of helping you make these yummy rolls! Preheat oven to 375 degrees F. Spray a medium baking sheet with nonstick spray. In a small bowl, combine melted butter, Parmesan, garlic powder, oregano, and parsley. Stir then set aside. Halve each of the 8 biscuits, making 16 pieces. 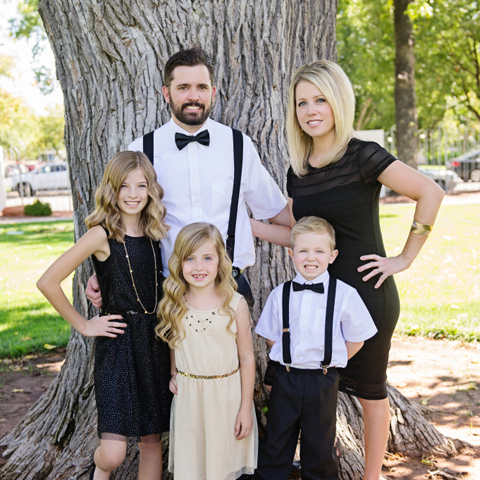 Roll each piece into a 6-inch rope, about ½-inch thick, then tie into a knot. Place all knots on the prepared baking sheet. Brush them with half of the butter mixture. 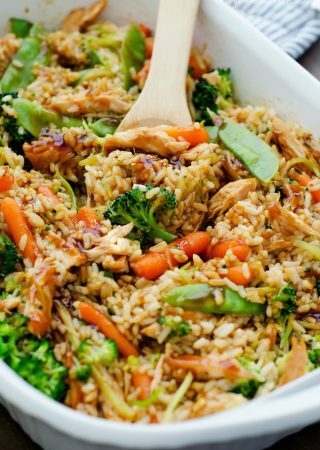 Place into oven and bake until golden brown, about 10 minutes. Remove from oven then brush with remaining garlic butter mixture. Serve warm and enjoy! Yields: 16 mini knots. Serves around 6 to 8. These look so good! 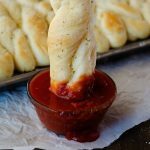 I can’t wait to try them 🙂 I am a sucker for any bread side you can dip in sauce!